Super Barbie is a very energetic girl. It is for justice and can't stand if someone is behaving dishonestly or harm others. Kara and this time hurries on through to protect weak people from the villains. 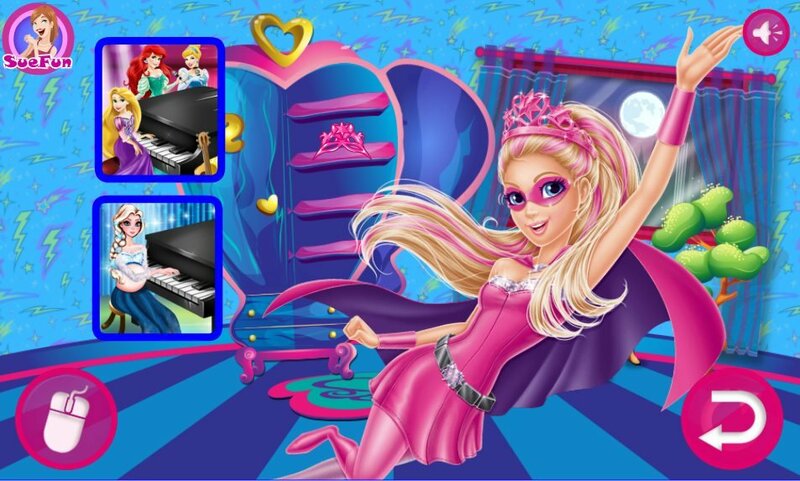 How to play: let's help Barbie to find all the items that the girl put somewhere in the room and forgot about it. Use the mouse to move the objects found in the lower part of the screen and collect them all. If you can't find any of the items, then press the question mark button. Played: 22167. Added: 8-08-2015, 00:59.